An egg found inside a fossil bird, by accident! Last April, I started working on a fossil bird with an unusual tissue (see photograph below). It turned out to be the first fossil bird ever found with an unlaid egg preserved inside the body! See Link to our paper here. Photograph of the holotype of Avimaia schweitzerae (IVPP V25371). 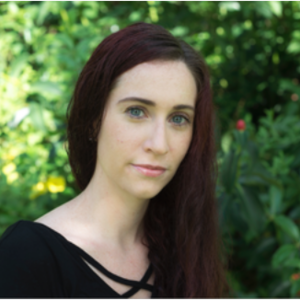 Photo credit: Barbara Marrs. The specimen pictured above is more specifically an enantiornithine bird, member of a now extinct group that used to be the most common, most diverse group of birds that existed during the time of the dinosaurs (see reconstruction by artist Michael Rothman below). Maybe we could jokingly refer to them as the pigeons of the Cretaceous, as they really were everywhere, like pigeons in cities. We named this new species, Avimaia schweitzerae, which means ‘mother bird’, and we also honored a very important paleontologist, Dr. Mary Higby Schweitzer, who has been pushing the limits of our field with her work on the preservation of biomolecules and soft-tissues in fossil dinosaurs and birds. She is also the first person to ever work on medullary bone (a tissue that we will define and discuss later, do not worry! or panic!!!) from an evolutionary perspective. Reconstruction of the Xiagou Formation with colonial nesting ground of Avimaia schweitzerae. The female individual dead in the water on the left (with an unlaid egg not visible inside its abdomen), represents the fossilized individual described here. Art by Michael Rothman. However, the funny truth is, this discovery was made by accident! At first, we had absolutely no clue that the weird flat ‘thing’ we were seeing on the specimen was actually an egg. The egg is crushed and flattened two-dimensionally, and looks like a thin pancake. This type of preservation for dinosaur and bird eggs is very uncommon, as they either retain their round or oval shape in three-dimensions or… they are completely destroyed into hundreds of eggshell fragments! The story of our accidental discovery actually starts eleven years ago in 2007, when co-authors Jingmai O’Connor, Matthew Lamanna, and other colleagues were standing over this already-prepared, recently collected specimen from Northwest China (Gansu Province, Xiagou Formation). Jingmai told me that they were all wondering what on earth was this odd sheet of tissue. They all wondered to themselves: could it be bone? could it be the sternum? could it be soft-tissues? It seemed way too thin to be a piece of bone…and really, soft-tissues do not usually look like this when they preserve, so they had no clue what it was, and therefore worked on other things. Last year, I arrived at the Institute of Vertebrate Paleontology and Paleoanthropology to start a post-doc with Jingmai O’Connor and to set-up a histochemistry lab. In China, we figured that it would take a lot of time for all the chemicals to arrive, so Jingmai looked for something I could work on while we waited for bureaucracy to work itself out and the components necessary for the lab to arrive. I distinctly remember being in Jingmai’s office, Jingmai opening a box, and saying “Oh, I remember this specimen. What IS this thing?” I looked at it and had absolutely no clue what it was either. It was covered in glue, which made it look very shiny and hard to see anything clearly. I thought perhaps it was a piece of bone from another fossil that got displaced on top of it during fossilization? Long story short, we went through the same thought process as the first team had 11 years ago, but in the end we still simply had no clue what it was and decided to refer to it as an unusual, unidentified tissue. There we go, we just had the first discovery of a Mesozoic gravid female bird in history! Jingmai really cleared things up, because after figuring out this was an egg, I was unsure whether the egg was inside the body of the female bird, or if the bird was perhaps sitting on its egg, within its nest for example. Photograph of a ground-section of a fragment of the egg of Avimaia schweitzerae (IVPP V25371). After this major discovery in the project, we moved on to another test: we knew that today, all female birds that are about to lay their eggs have an interesting type of bone inside their skeleton. This type of bone, called medullary bone, is found inside the empty spaces of the ‘normal’ skeleton, and serves as a calcium reservoir for the developing eggshell. If female birds did not laid down this special tissue, the calcium would be taken out of the normal scaffold of the skeleton (called cortical bone), which would probably weaken their bodies too much because they have extremely thin bones, so this is an efficient way for female birds to bypass this problem. Other groups of fossil reptiles (such as other fossil birds, non-avian dinosaurs, and pterosaurs) have been hypothesized to have medullary bone as well, but none of the specimens analyzed had eggs associated with them to confirm reproductive activity, like Avimaia does. Therefore, the next and most logical thing to do was to look for medullary bone. We thought it would make complete sense for her (yes indeed, we could say ‘her’ at this point) to have this tissue. And, as if this specimen had not spoiled us enough already, it did show us medullary bone! (see the photograph below). There came another wave of excitement from the results of the femur fragment we extracted and analyzed under the microscope. 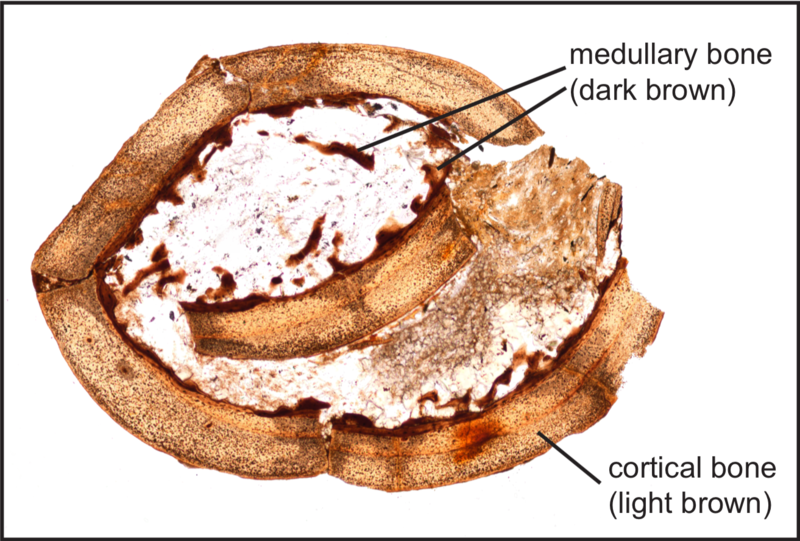 Photograph of a ground-section from a fragment of femur of Avimaia schweitzerae (IVPP V25371), showing medullary bone (the dark brown, most internal layer with some trabeculae). This female bird truly amazed us, revealing more and more of the secrets it had been hiding from us, sitting in her box patiently for over a decade (I realize this is nothing compared to the 110 million years she had spent in sediments, but still). Jingmai told me that this is one of the most interesting specimens she had ever worked on, and I share the same feelings. Yet, we still did not stop here, because as we analyzed the microstructure of the egg, we discovered that it was, on top of all the other ¬things we discovered, a very weird egg: it was much thinner than the eggs of living birds and other enantiornithines, with very weird proportions, and in some areas it even looked like it was a malformed ‘double-egg’. In ‘double- eggs’, you can see two eggshell layers instead of one as in normal healthy bird eggs, indicating the egg was retained too long inside the abdomen. This condition often occurs in living birds as a result of stress, and the unlaid egg then gets coated in a second layer of eggshell. Sometimes in very severe conditions of egg retention, eggs can get stuck inside the body and lead to death, called egg-binding. 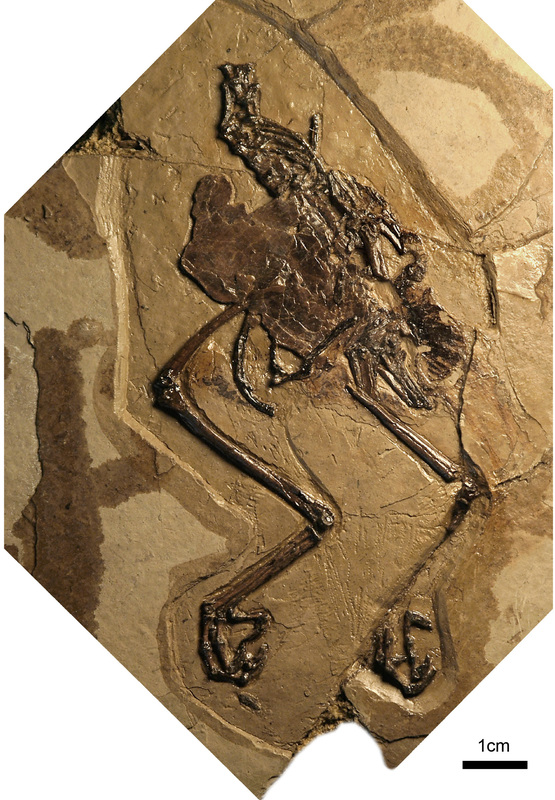 Therefore, since this specimen was found with (most-likely) an abnormal egg, we thought it was a plausible hypothesis to propose that it died from egg-binding. The last thing that we did with co-author Li Zhiheng was to analyze the egg under a different type of microscope, a Scanning Electron Microscope, and found out that its most external layer, called the cuticle, consisted of very tiny spheres (see image below). A chemical probe told us they were made of calcium and phosphorus. In living birds, only a few species have these spheres, and they are most often found in species that nest in humid environments near water, or in areas with a lot of microbes. The eggs of quails, ducks or flamingoes have such spheres. The only living birds that burry their eggs (the megapodes, in Australia), also show similar protective spheres in their eggs. 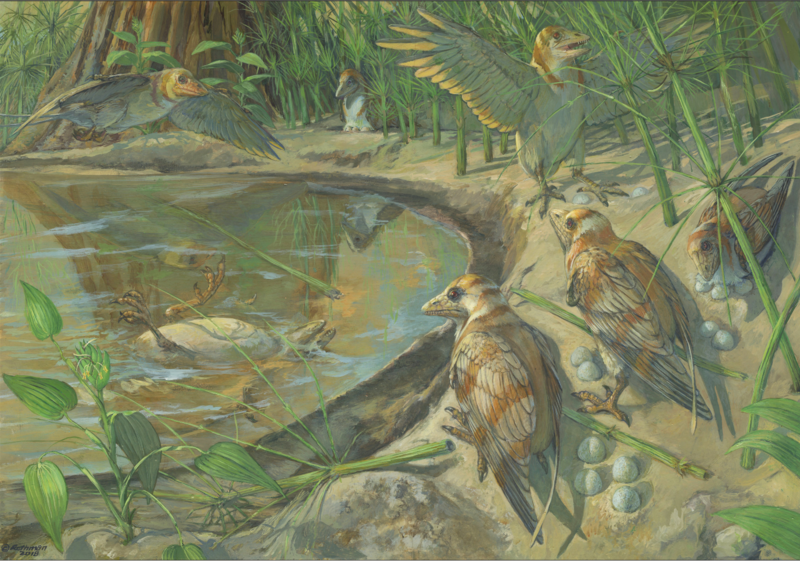 And since some researchers had hypothesized that enantiornithine birds buried their eggs (either fully, or partially), we concluded that the nanospheres found here in this new species were probably here to protect the eggs from microbial attack while they were buried. Cuticles of Avimaia and the extant Japanese quail (Coturnix japonica) seen under the Scanning Electron Microscope and showing small spheres of minerals. This specimen is simply incredible, and we hope that we can continue to analyze, and re-analyze this egg, to uncover more and more of its secrets. Working on this was more than a scientific project, it was a life experience to me, an example and proof that the best things come to you when you least expect them. Link to the paper here.